Margo is a fancy lobbyist for your health down in Washington DC. Officially she is the Director of Nutrition Policy, Center for Science in the Public Interest. She's one of the people responsible for getting calorie counts on restaurant menus. That way you know the burger and fries you're about to eat are the equivalent of three days of food for a normal person. 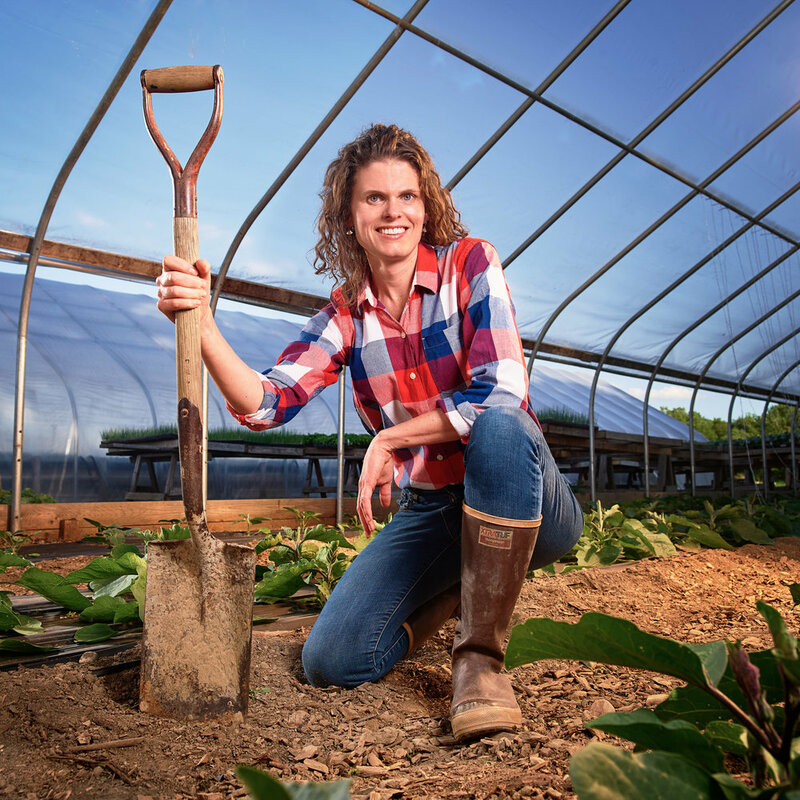 Lindsey is the Co-Founder & Executive Director, National Young Farmers Coalition. It was a beautiful afternoon at a farm in upstate New York, watching the edge of storm clouds drift overhead. Special thanks to mother nature for giving us a hand on this one. 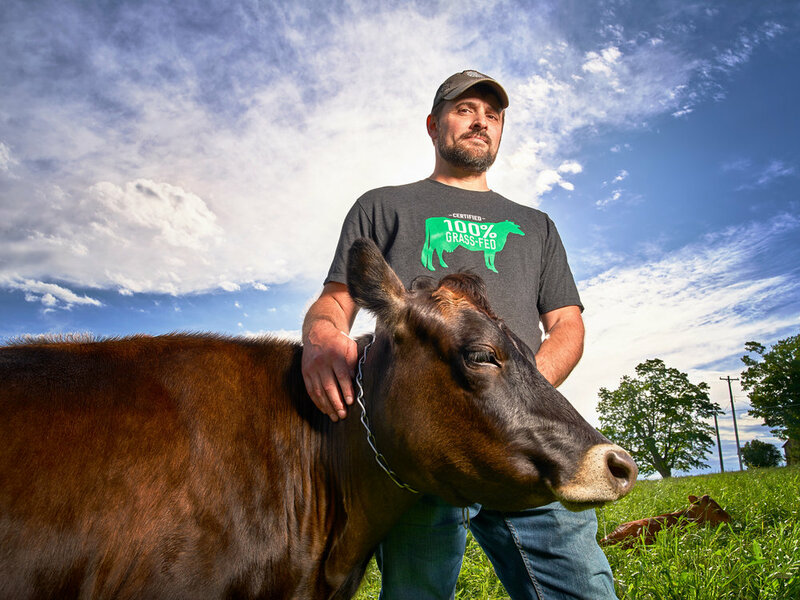 Tim Joseph is the Founding Farmer & CEO, Maple Hill Creamery. Which means he's the boss of that yogurt you have in your fridge. Nate, Efrat, and I walked half a mile through muddy and cow crap covered fields to get these photos. 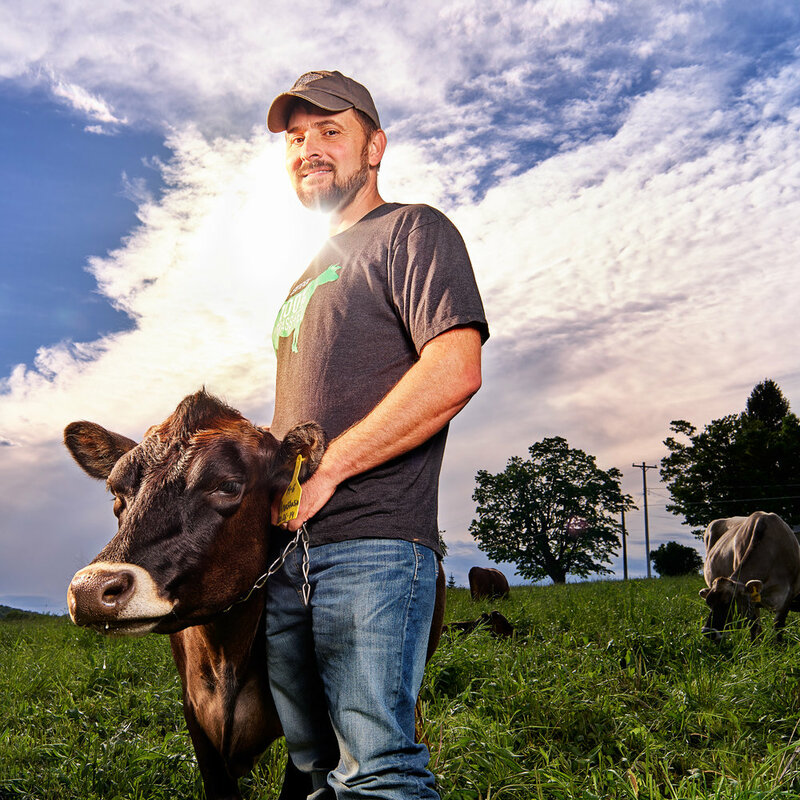 As the farmer whose fields we were borrowing told me, "You go to the cows. We've got a hose". I learned a whole lot about the dairy business that day I can tell you that.